© 2002, © 2017 by Paul Freeman. Revised 8/9/17. 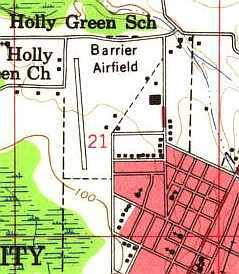 Oxford Airport, as depicted on the 1940 USGS topo map. The date of establishment of Oxford Municipal Airport has not been determined. was in The Airport Directory Company's 1937 Airport Directory (courtesy of Bob Rambo). 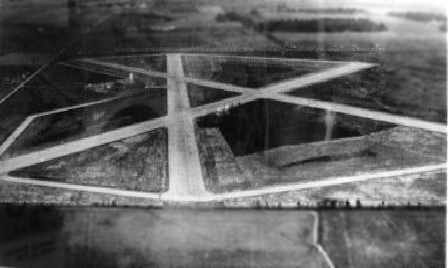 It described Oxford as an auxiliary airfield having two 2,000' runways, oriented north/south & east/west. 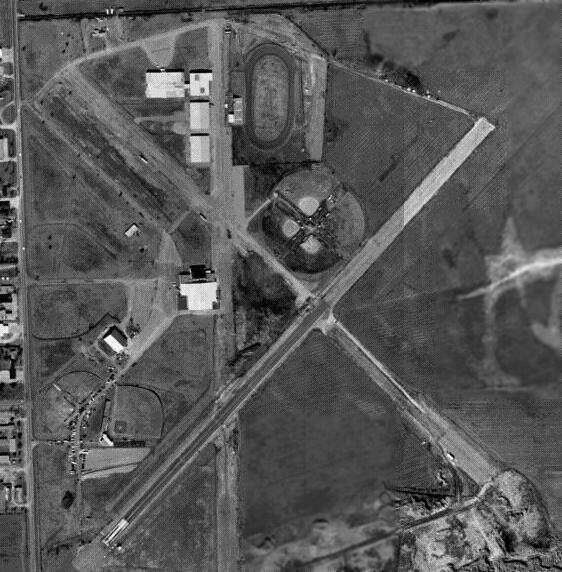 The earliest depiction which has been located of Oxford Municipal Airport was on the 1940 USGS topo map. 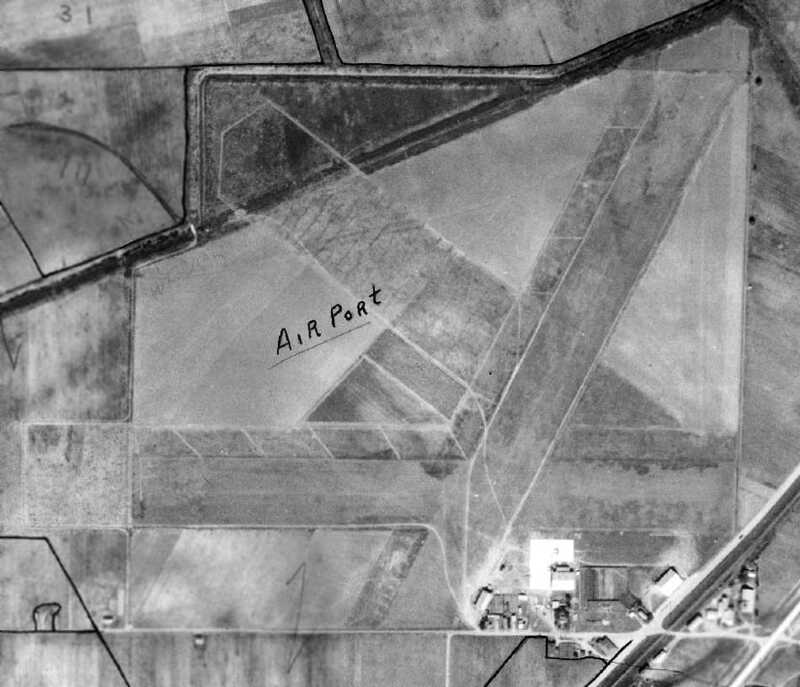 It depicted Oxford Airport as an irregularly-shaped property outline. was a 6/3/43 aerial view looking north from the 1945 AAF Airfield Directory (courtesy of Scott Murdock). as a 193 acre irregularly-shaped shaped field having 2 sod runways, measuring 3,000' northeast/southwest & 2,007' northwest/southeast. The field was said to have 3 hangars, the largest being an 80' square metal structure. The airport was described as being owned & operated by the City of Oxford. 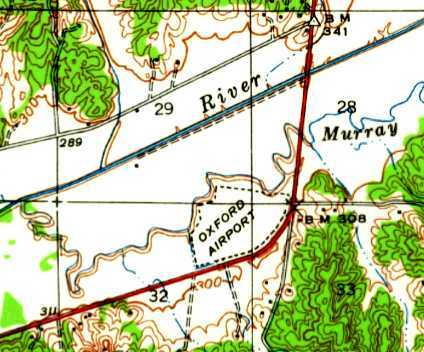 Oxford Airport, as depicted on the 1956 USGS topo map. 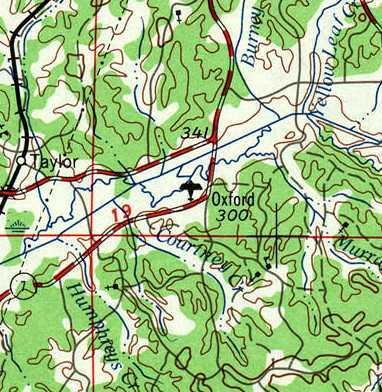 The 1965 USGS topo map continued to depict Oxford Airport as an irregularly-shaped property outline. as it was no longer depicted on the 1981 USGS topo map (although 2 buildings were depicted on the southeast portion of the site). 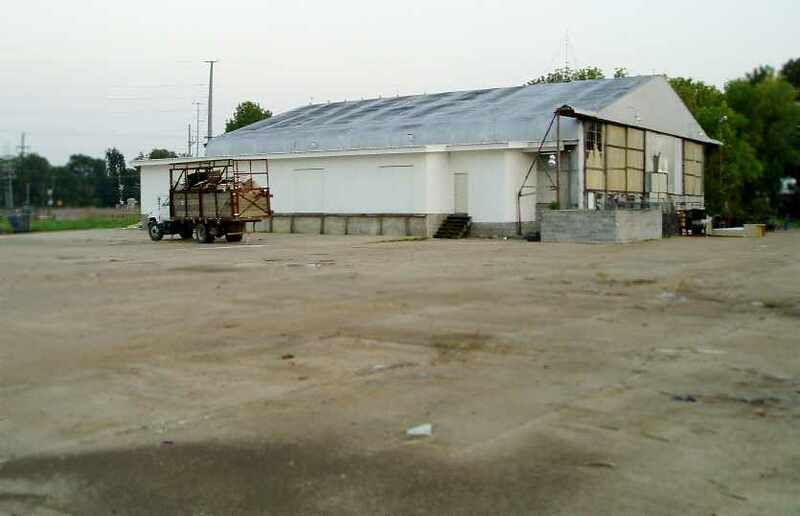 A 2005 photo by Matthew Clapp of the 1940s-era hangar which remains standing at the site of Oxford Municipal Airport. A 2005 photo by Matthew Clapp of a windsock at the site of Oxford Municipal Airport. 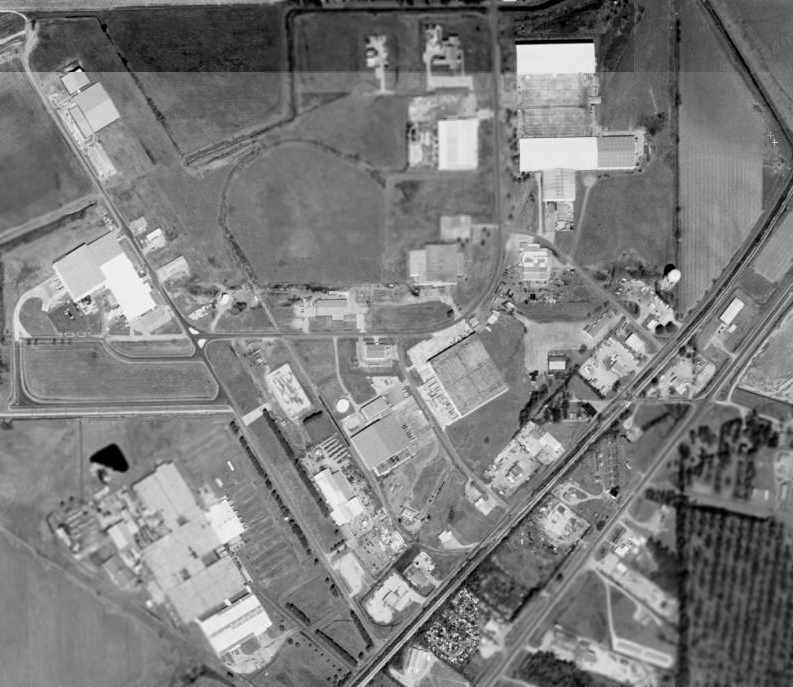 A circa 2004-2009 aerial view looking north at the former Oxford hangar. and they have completely remodeled the hangar, including raising the roof on it & putting new metal siding on it. The site of Oxford Municipal Airport is located southwest of the intersection of Route 7 & Route 9W. 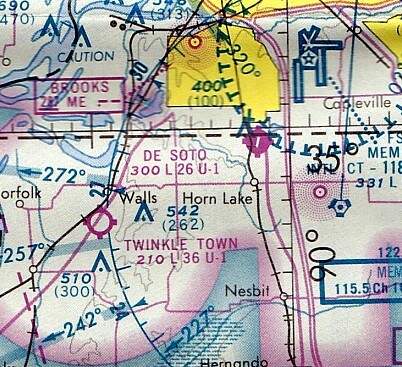 Twinkletown Airport, as depicted on the July 1964 Little Rock Sectional Chart (courtesy of Chris Kennedy). which depicted Twinkle Town as having a 3,600' unpaved runway. Chalres Brawner recalled, “Twinkle Town... My grandpa was Joe Hopkins. 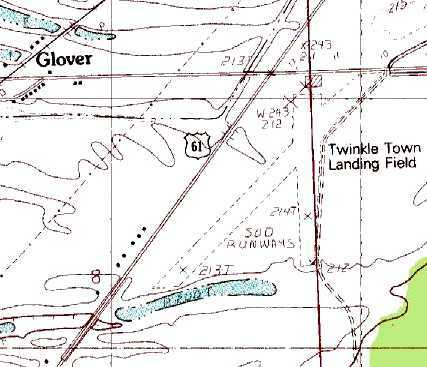 Twinkletown Airport, as depicted on the 1965 USGS topo map. 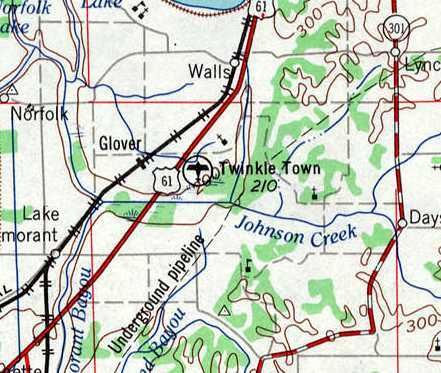 depicted Twinkle Town as having a 3,600' unpaved runway. 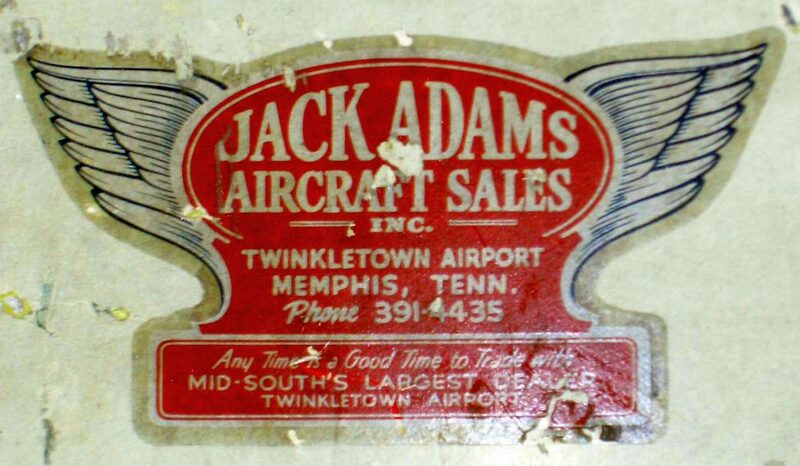 A 2014 photo by Robert Brown of a circa 1950s-70s decal for Jack Adams Aircraft Sales; Twinkletown Airport. Robert reported, “This is on a Cessna 170 fin in my hangar. The earliest photo which has been located of Twinkletown Airport was a 1971 photo of a Bellanca outside a hangar marked Twinkletown Flying. depicted Twinkletown as having a 3,600' unpaved runway. A 1974 photo of a Lockheed hulk at Twinkletown Airport. with a total of 15 single-engine aircraft parked around the hangar. 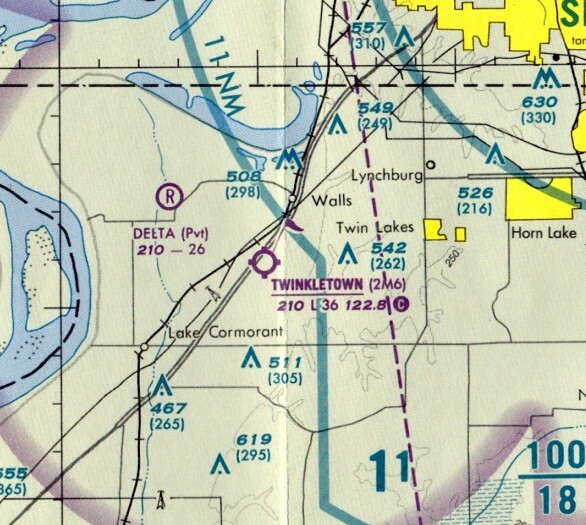 The 1985-86 TN Aeronautical Chart (courtesy of Alex Hauzer) depicted Twinkle Town as having a 3,800' unpaved runway. as having 2 unpaved runways, with a single hangar on the north end. James Freeman recalled, “Twinkletown Airport was a beautiful little 'country' airport with 2 large, smooth turf runways & a large community hangar. It was notable for having an ASR instrument approach (which I actually used once to get in in 1992). Tom Mathes recalled, “I have flown at Twinkletown & had a Cub there. 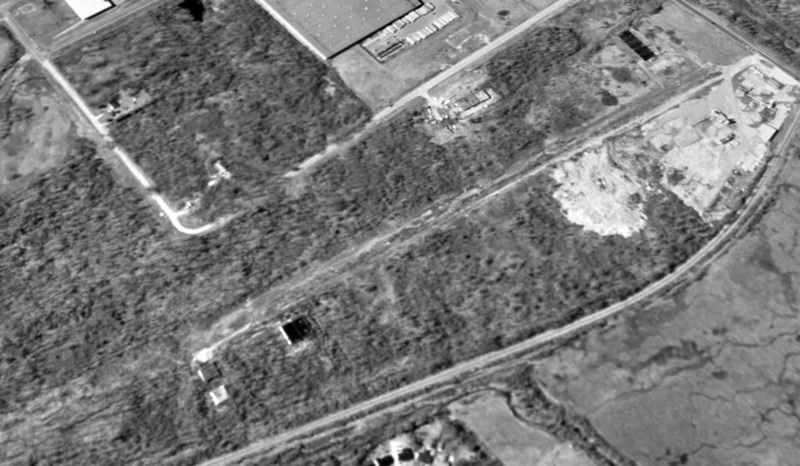 The last photo which has been located showing aircraft at Twinkletown Airport was the 1/29/97 USGS aerial photo. It depicted a total of 8 single-engine aircraft parked around the hangar on the north side of Twinkletown. 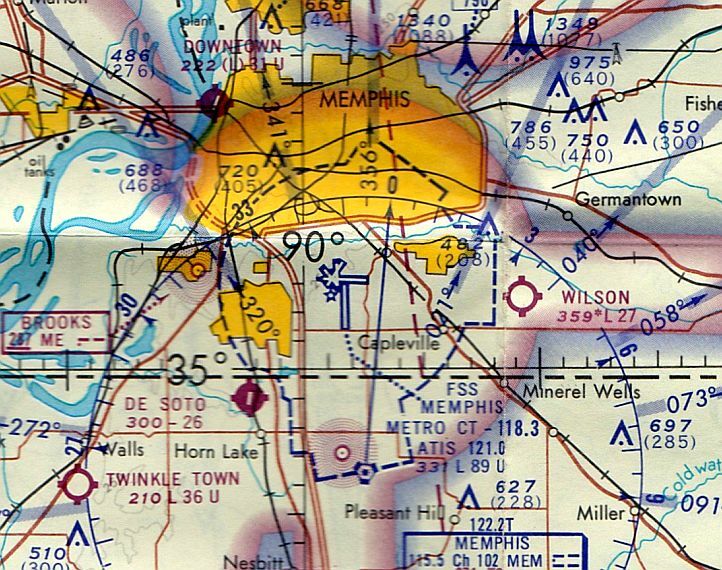 was on the April 1999 Memphis Terminal Aeronautical Chart (courtesy of Ron Plante). It depicted Twinkle Town as having a 3,600' unpaved runway. 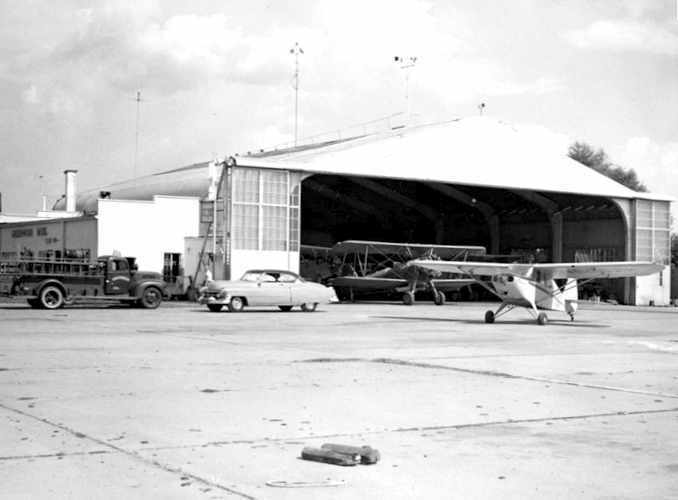 An undated photo of the Twinkletown hangar. According to Airspace Docket 02-ASO-26, the official closure of Twinkletown Airport was 1/23/03. 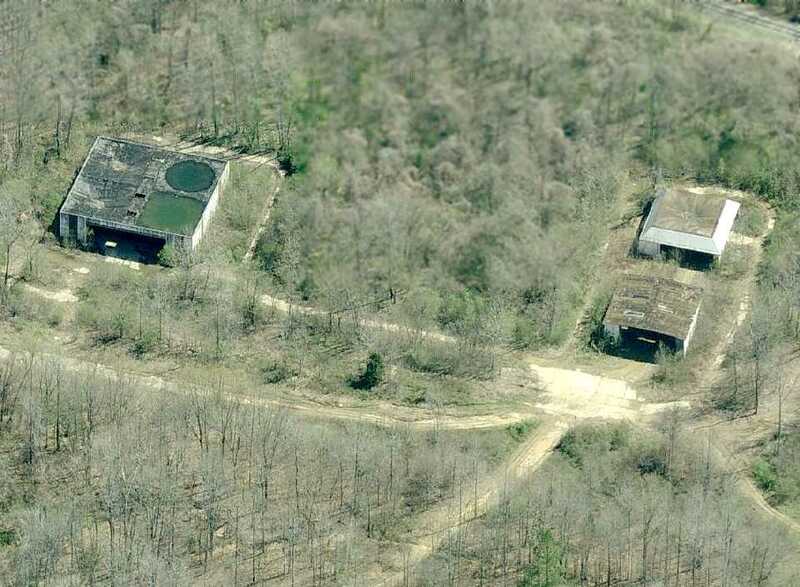 A 8/8/07 aerial view depicted Twinkletown Airport as remaining intact, but appearing to be abandoned. A circa 2004-2008 photo looking southeast at the Twinkletown hangar. 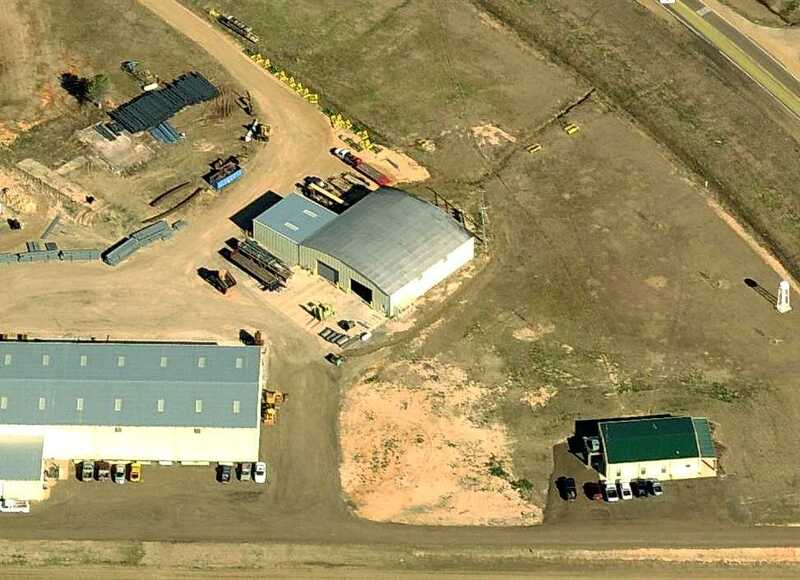 A circa 2004-2008 aerial view looking north at the Twinkletown hangar. 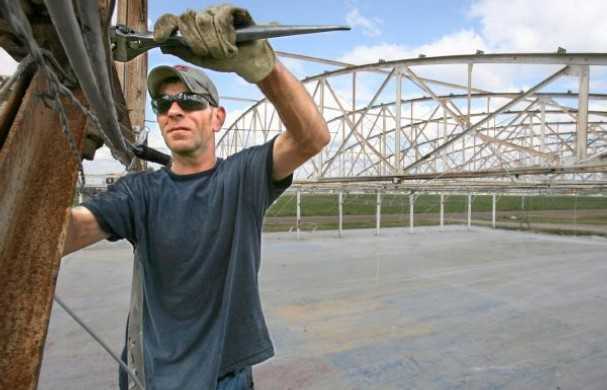 A 2008 photo of the Twinkletown hangar being dismantled by ironworker David Hall. 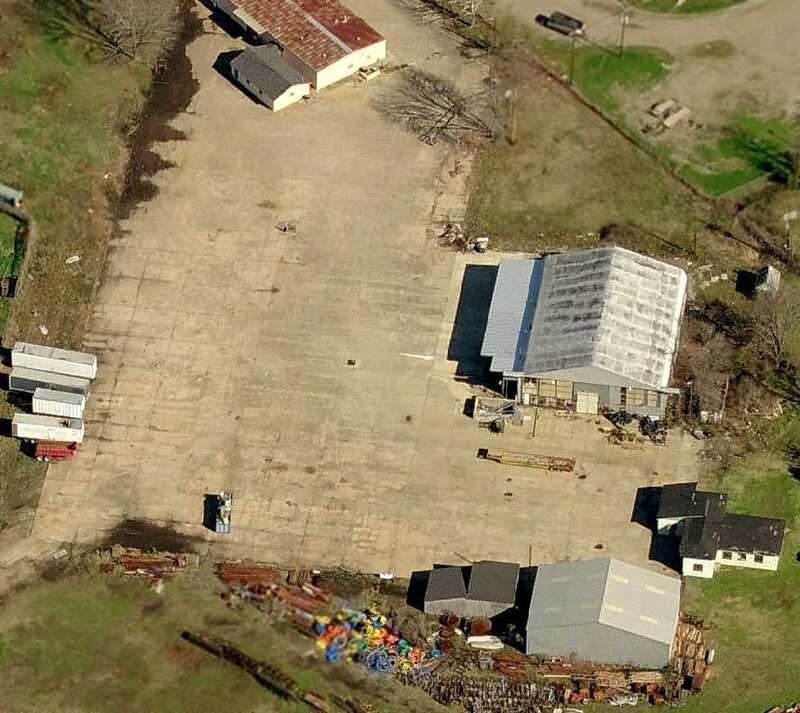 A 4/10/10 aerial view showed the airfield area at Twinkletown remaining intact, but the hangar had been removed. The site of Twinkletown Airport is located southeast of the intersection of Route 61 & Church Road. De Soto Airpark, as depicted on the July 1964 Little Rock Sectional Chart (courtesy of Chris Kennedy). as it was not yet depicted on a 1958 aerial photo nor on the January 1961 Chattanooga Sectional Chart (according to Chris Kennedy). The earliest reference to De Soto Airpark was its listing in the 1962 AOPA Airport Directory (according to Chris Kennedy). Andy Cotten recalled, “De Soto Airpark... 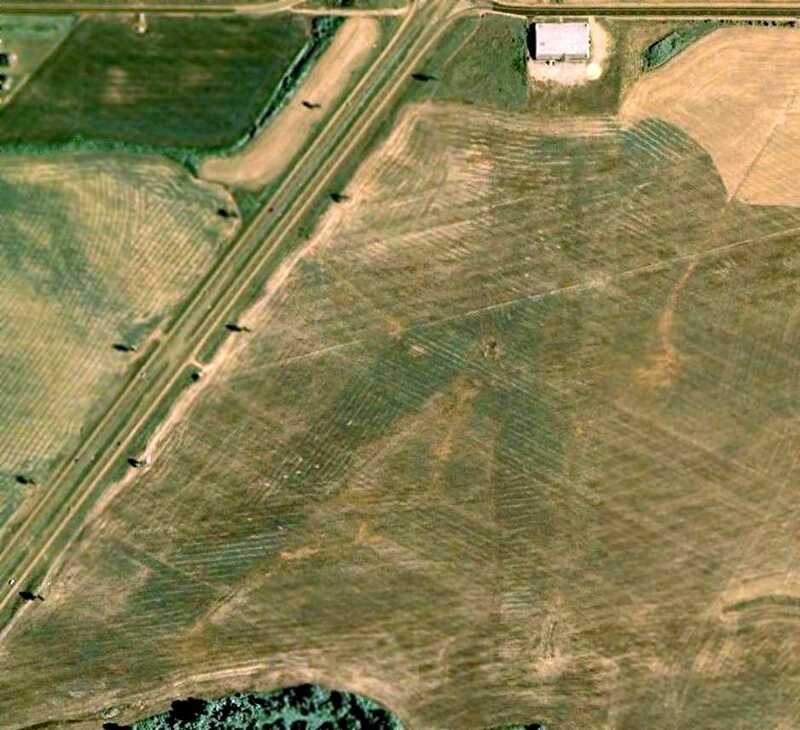 This airport had a single North/South runway of approximately 2,200'. I first flew off it in the summer of 1962 in an Ercoupe with my father. 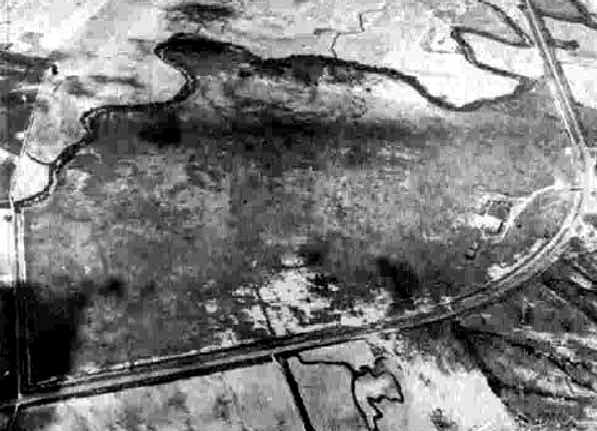 The earliest photo which has been located of De Soto Airpark was a 1963 aerial photo. and another building (perhaps still under construction) on the southeast side. was on the July 1964 Little Rock Sectional Chart (courtesy of Chris Kennedy). It depicted De Soto as having a 2,600' paved runway. Bill Starr recalled, “I remember the DC-3 that was there. John Roberts recalled, “De Soto Airpark... My aviation career started here when my father kept a small plane there in 1968. I was only 6 in 1968, but I would have lived at the airport if I could, and it was here that career seeds were planted. 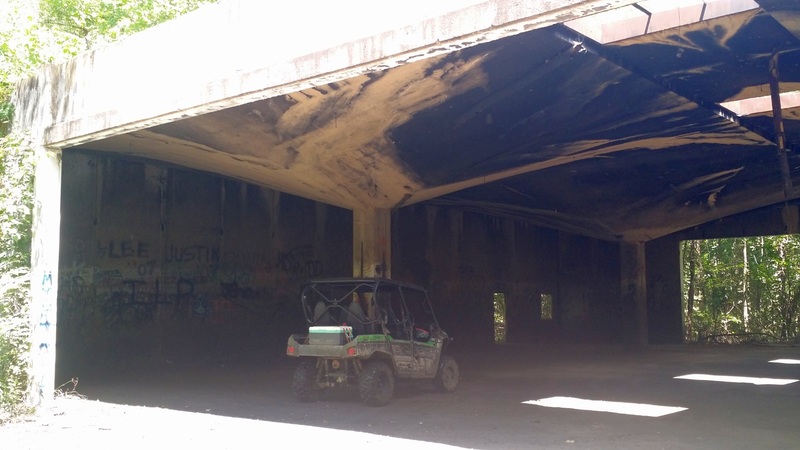 Marv Donnaud recalled in 2008, “Desoto Air Park... Very short runway but the owner was the best DC-3 pilot known to mankind. He could land one there with runway to spare. His name was Charlie Pennington. His partner was Walt Looney, the only person I ever knew who had 2 airplane crashes in one day. The company that operated the DC-3 was Penlo Airways, a combination of their two last names. has a story pertaining to the new president of the airport. It goes on to say John Cochran is only 27 & had been managing the airport since its sale in May by Walt Looney. Bill Gray was the maintenance department manager & was Vice president. Chuck Collison is the chief pilot & CFI. Several instructors were on staff including Billy Paul, David Sims, Jim Weddell, Norman Pyles, Bill Herrin, Sam Rhodes, and Frank James. A 1971 aerial photo depicted a total of 14 aircraft at De Soto Airpark, including a DC-3. A 2nd building had been added on the southeast side at some point between 1963-71. Andy Cotten recalled, “De Soto Airpark... I later flew into there in a L-16 in 1972. My last flights were in Cessna 150s in early 1973. Walt Looney with Penlo ran the airport in those days. Joe Hopkins & Jim Weddell were still instructing there when I rented aircraft in 1973.
which depicted De Soto as having a 2,600' paved runway. 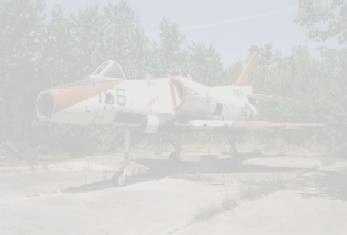 Thawk74T recalled, “De Soto Airpark... I know it was active up until sometime in the mid-1970s. and a few small buildings on the north side. 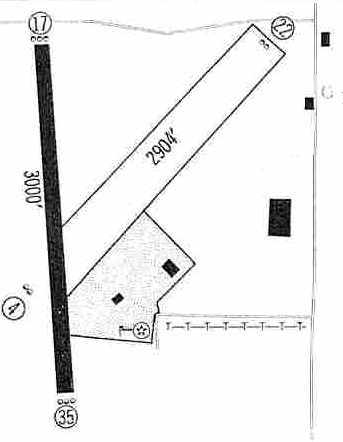 with a ramp & hangar at the northwest corner, and 3 small buildings on the southeast corner. The last directory listing which has been located for De Soto Airpark was in the 1980 AOPA Airport Directory (according to Chris Kennedy). 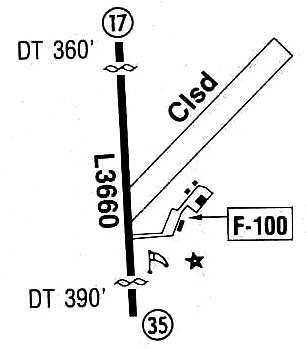 as it was no longer listed among active airfields in the 1982 AOPA Airport Directory (according to Chris Kennedy). 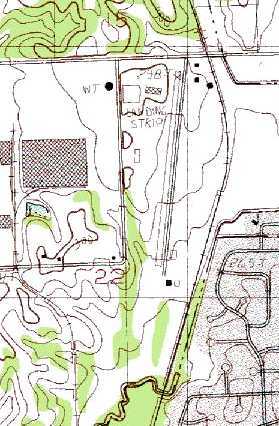 The 1988 USGS topo map depicted the runway & several buildings at the site of De Soto Airpark, labeled simply as “Landing Strip”. and one hangar remained standing on the northwest side, and 3 other hangars remained standing on the southeast side. and a large building had been constructed over the center of the runway during the same timeframe. 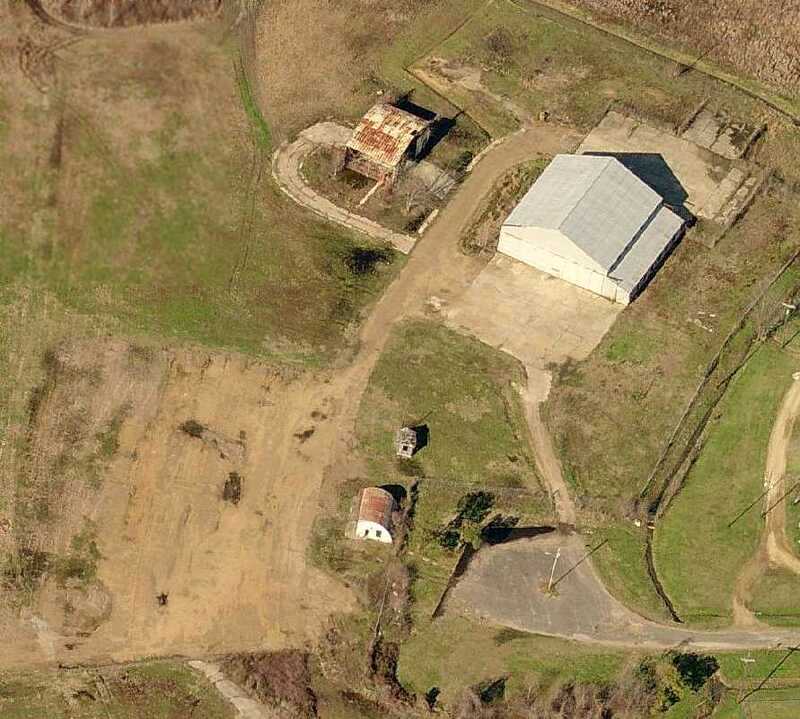 A circa 2006-2010 aerial view looking east at 3 former hangars which remain standing, on the southeast side of the remains of the De Soto Airpark runway. with the runway being heavily overgrown, and the 3 former hangars on the southeast side (bottom-left) hidden by trees. A 7/30/17 photo by Tommy Johansen of the interior of the northeastern-most hangar at the site of De Soto Airpark. Tommy Johansen reported, “As of today, three hangars still stand & the runway is mostly intact... albeit overgrown with vegetation. The site of De Soto Airpark is located southeast of the intersection of Stateline Road West & Stanton Road. 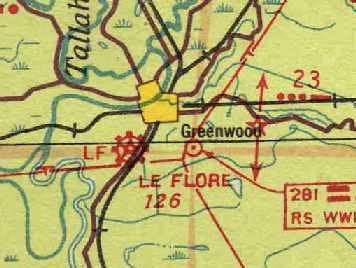 "Le Flore" Airport, as depicted on the July 1938 Shreveport Sectional Chart (courtesy of Chris Kennedy). Greenwood's original Municipal Airport was located adjacent to the southwest side of the town. The date of construction of the airfield has not been determined. and the field was said to have 2 sod runways: 2,960' & 2,800' long. labeled the field as "Le Flore" Airport. 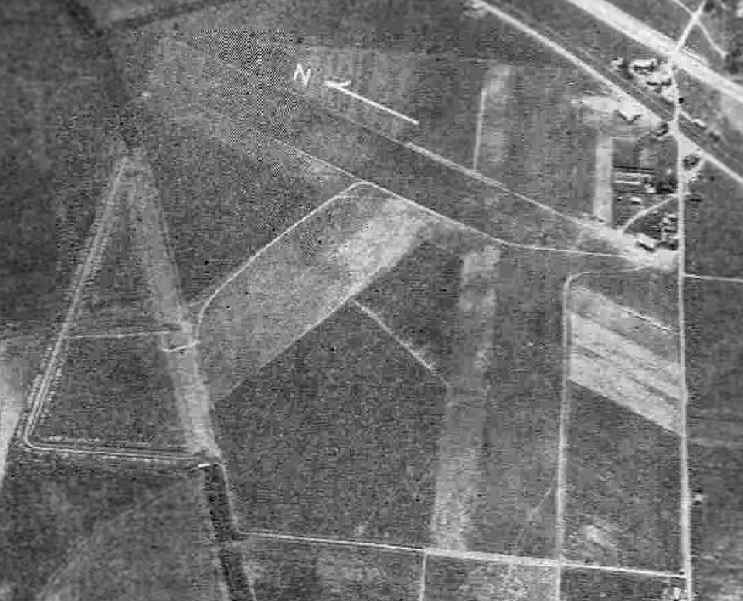 A 10/25/38 aerial view (courtesy of Allan Hammons) showing Greenwood's 3 grass runways. A ramp, hangar, and a few other small buildings were visible on the southeast side of the field. A circa-1940 aerial view looking northeast at Greenwood's hangar & ramp (courtesy of Allan Hammons). which conducted flight instruction, crop dusting, and airplane sales (courtesy of Allan Hammons). It described the field as having 3 sod runways, with the longest being the 3,150' northwest/southeast strip. A hangar was pictured at the southeast corner of the field. to provide initial flight training for the military. for a Basic Flying School to be known as Greenwood Army Air Field. 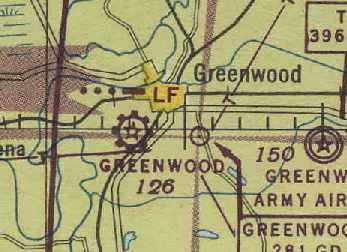 During the construction of GAAF, the Army also constructed three 4,000' runways at Greenwood Municipal. The airport was used as an auxiliary field by the Army." According to Allan Hammons, the three 4,000' runways were built by the Army in 1942. 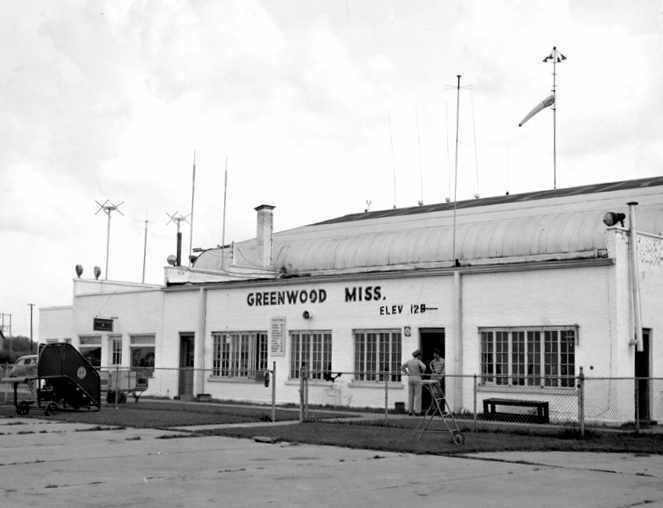 A 1943 photo (courtesy of Allan Hammons) of Greenwood's main hangar & terminal building (reused as of 2004 by Abraham Trucking). 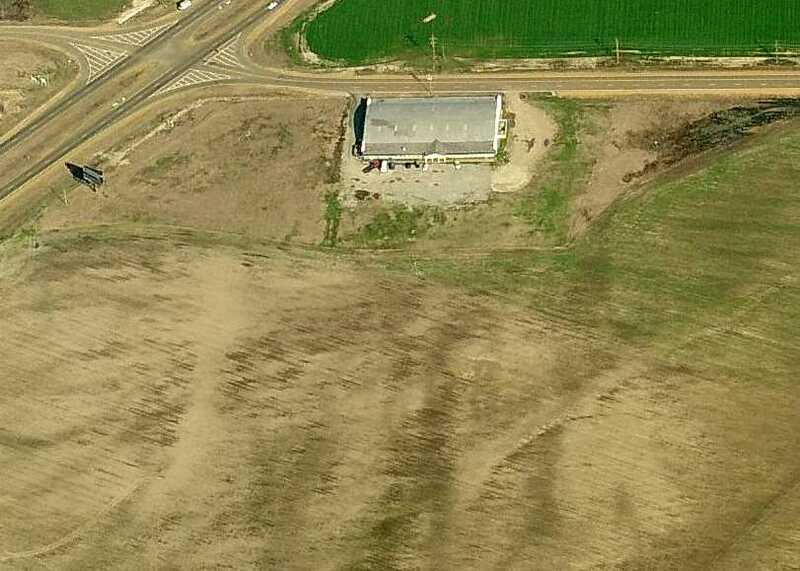 and the area on the left was the Civil Aeronautic Administration's Greenwood Radio (Flight Service Station)." as that is how it was listed in the April 1944 US Army/Navy Directory of Airfields (courtesy of Ken Mercer). and Army flight operations were said to be conducted from the field. (and would eventually replace the original Greenwood Airport years later). 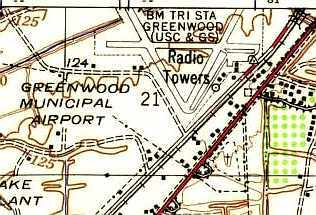 "Greenwood" Airport, as depicted on the April 1945 Shreveport Sectional Chart (courtesy of Chris Kennedy). as a 257 acre irregularly-shaped property having three 4,000' asphalt runways. The field was said to have 2 hangars, the largest being a 100' x 80' steel structure. and the field was also said to have Army activity. The airport was described as being owned & operated by the City of Greenwood. A 1947 photo (courtesy of Allan Hammons) looking southwest from the ramp toward Greenwood's terminal and a Chicago & Southern DC-3. 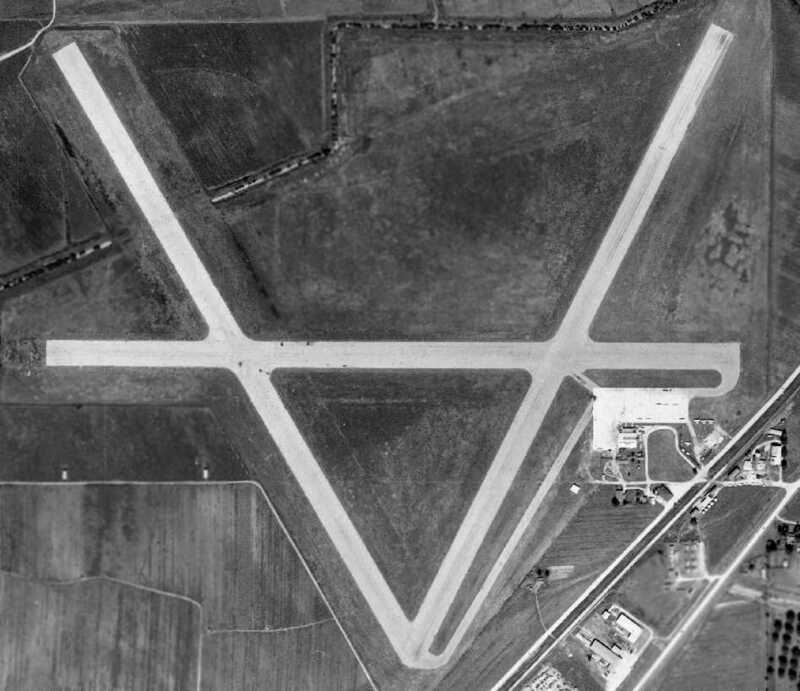 A 1950 aerial view (courtesy of Allan Hammons) showing Greenwood's 3 paved runways. A ramp, hangar, and several light aircraft were visible on the southeast side of the field. 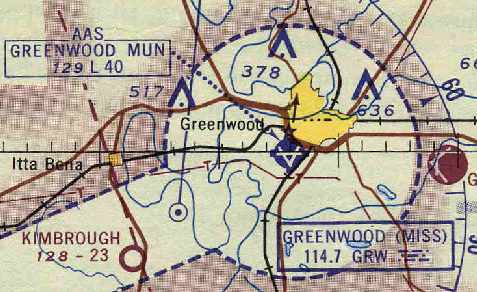 The 1950 Shreveport Sectional Chart depicted Greenwood Municipal Airport as having a 4,100' paved runway. Allan Hammons recalled, "I learned to fly at the former Greenwood Municipal Airport. 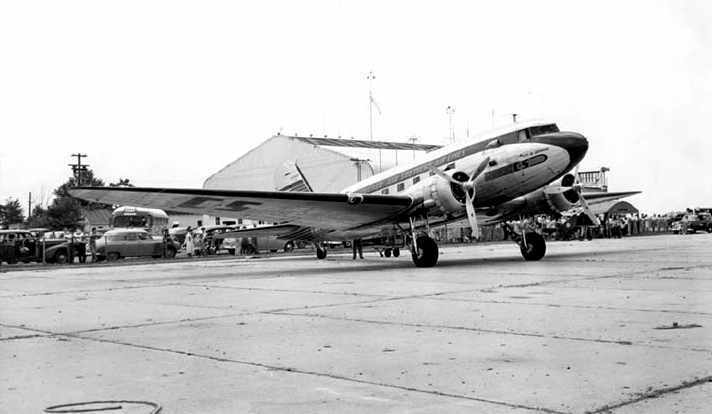 The airport was served by Chicago & Southern with Lockheed Electras and later DC-3s. In the 1950s, Delta acquired Chicago & Southern and the airport was served by Delta Convairs." A 1952 photo (courtesy of Allan Hammons) showing the west doors of the municipal hangar, which was leased to Leflore Flying Service. "The Cadillac belonged to the lineboy – [he was] independently wealthy." from the University of Alabama Map Library. he remembered seeing aircraft from the old Southern Airways use that airport." 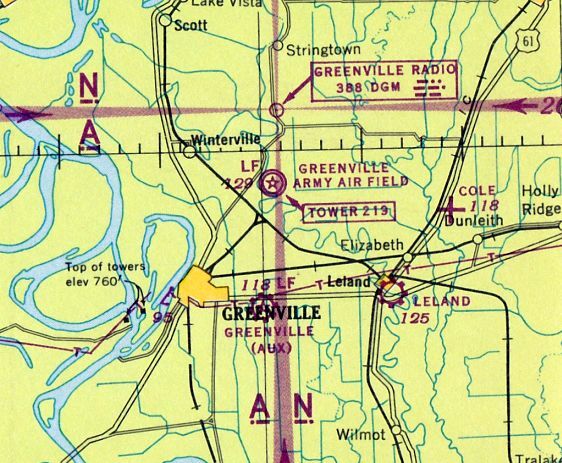 "Greenwood Municipal" Airport, as depicted on the June 1964 Shreveport Sectional Chart (courtesy of Chris Kennedy). described Greenwood Municipal as having three 4,000' asphalt runways: 9/27, 4/22, and 13/31. 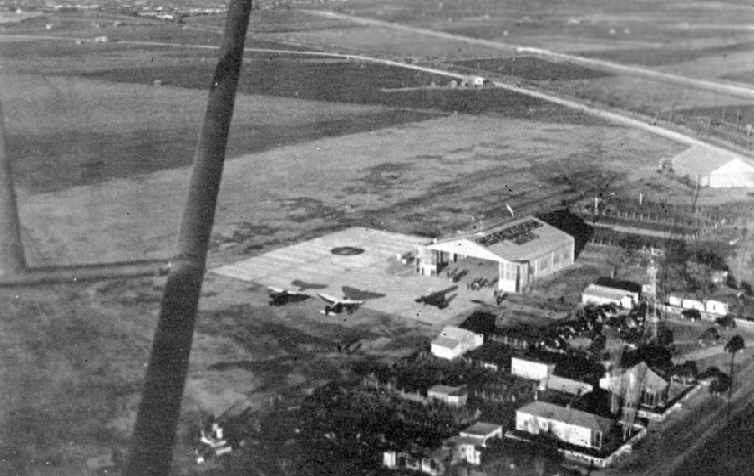 The field was said to offer fuel, repairs, hangars, and charter. The operators were Arrow Aviation, Emrich Flying Service (a Cessna dealer), and Leflore Flying Service. Allan Hammons recalled, "The field was home to major agricultural operations by locally owned Leflore Flying Service & Delta Airlines. More than 20 Stearmans were based there. Two Fixed-Base Operators operated there in the mid 1960s: Archer Aviation & Emerich Aviation. The last [airline] service for the field before closing was by Southern Airlines with DC-3s." as it was not listed in the 1971 Flight Guide (according to Chris Kennedy). In that directory, the former Greenwood AAF to the east was listed as Leflore Airport. 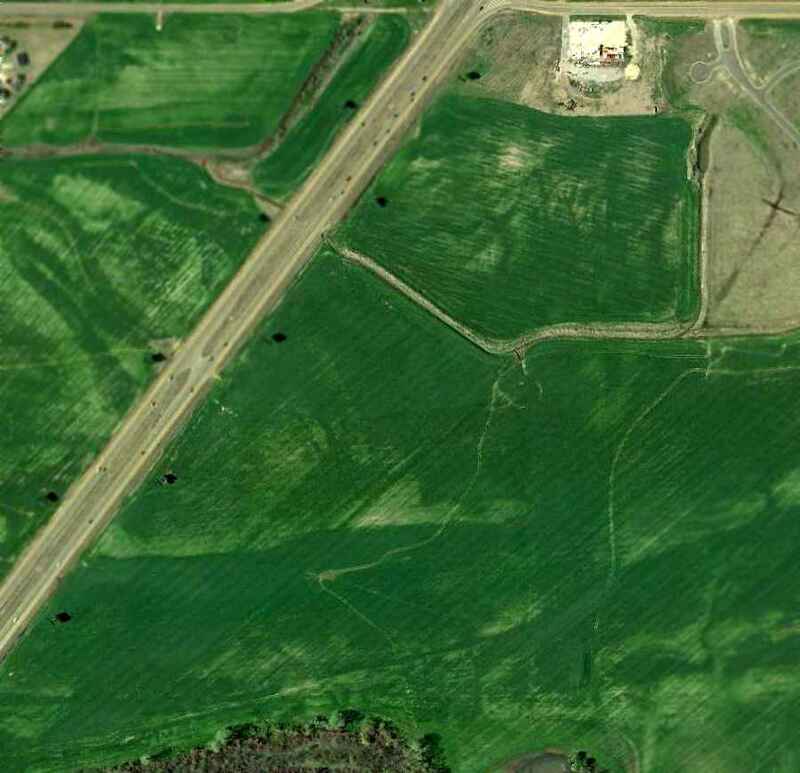 the site of Greenwood Municipal Airport has been covered by a number of larger buildings. including the outline of almost the entire northwest/southeast runway. Chris Balducci reported in 2004, "I've been to Greenwood many times. 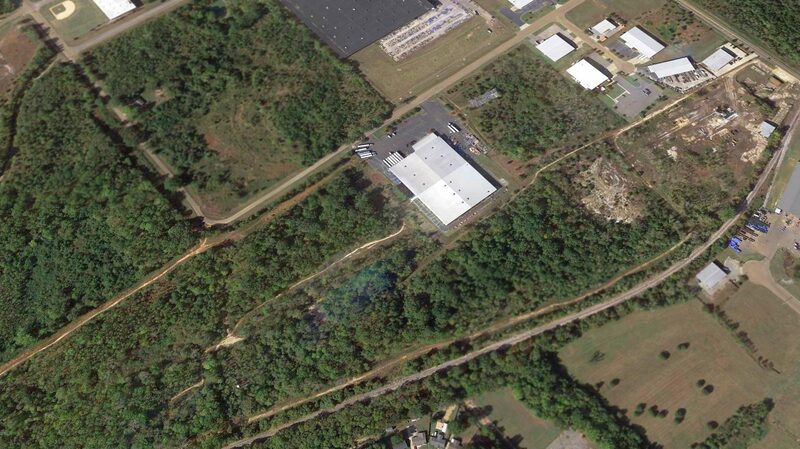 It wasn't until last year that I discovered the old airport existed where the Greenwood-Leflore Industrial Park is now. I found an old hangar that now houses the Abraham Trucking Company. Otherwise, the developers of the industrial job did a 'good job' covering up the remnants of the old airport." A 2006 photo by John Wienand of the 1940-vintage hangar which remains at the site of Greenwood Airport. According to John, this was “the only airport building I could identify on site. The entire area has been rebuilt & developed as an industrial park. There are several closed businesses out there. The runways are gone, all traces. Only the big concrete ramp by the hanger exist today. 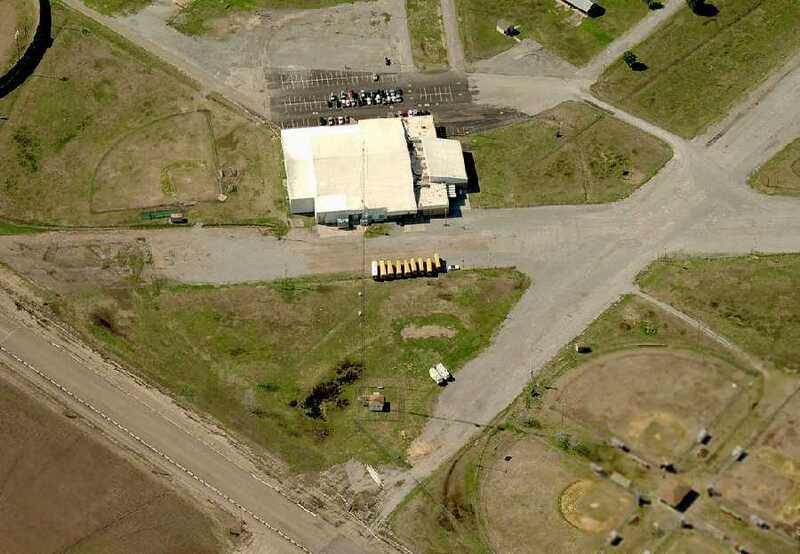 A circa 2006 aerial view looking east at the hangar which remains standing at the site of the original Greenwood Municipal Airport. 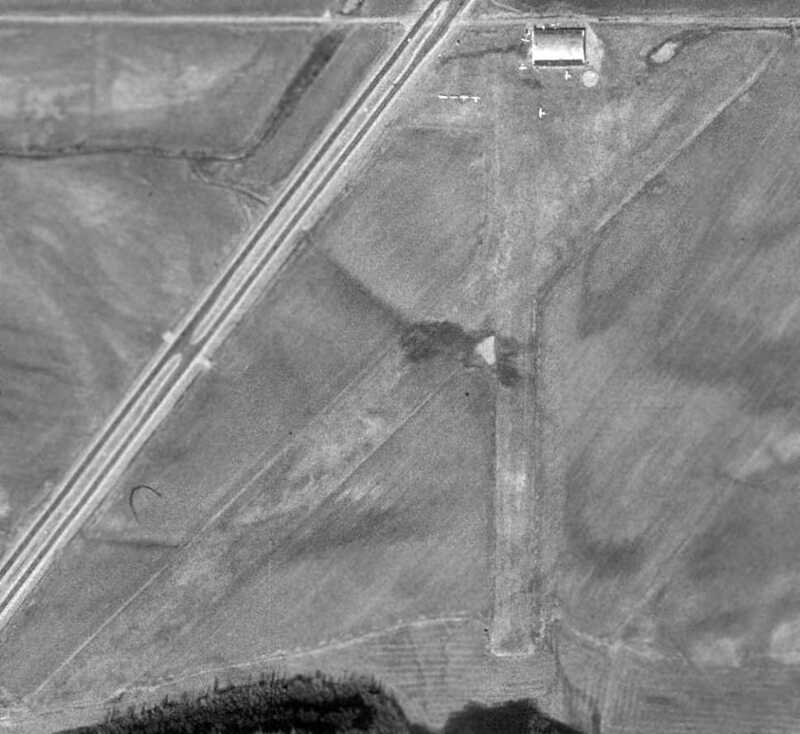 The site of the original Greenwood Municipal Airport is located west of the intersection of Route 49E & Route 175. Yazoo City Airport, as depicted on the February 1949 Shreveport Sectional Chart (courtesy of Chris Kennedy). as it was not depicted on the April 1945 Sectional Chart (according to Chris Kennedy). 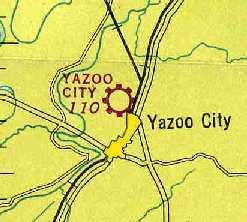 which labeled it as "Yazoo City" Airport. as that is how it was labeled in the 1960 Jeppesen Airway Manual (courtesy of Chris Kennedy). along with 2 buildings (hangars?) on the south side of the field. on the 1961 USGS topo map (from the University of Alabama Map Library). depicted Barrier Airport as having a 3,000' hard-surface runway. 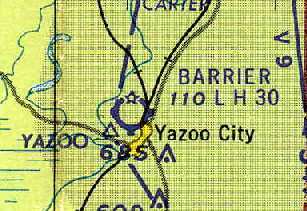 and it's location to the city of Jackson was about the same as Barrier Airport was to Yazoo City. It was night time, and the pilots mistook Barrier for Hawkins & landed. listed the operator of Barrier Airport as the George Clanton Dusting Company. along with a closed grass runway extending northeast from the center of the field. around which were situated 4 buildings (hangars?). According to David Richardson, “Barrier Field... was closed in the late 1980s. The reason was to build a larger field outside of town that could accommodate small jets. 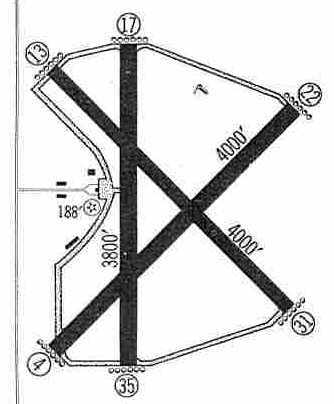 although the paved runway was marked with closed runway "X" symbols. Several hangars remained standing, and the airfield appeared to remain basically intact. A circa 2006 aerial view looking north at several former hangars which remain standing on the east side of the site of Barrier Airport. though the southern portion had been reused as a parking lot for a complex of baseball fields. but a new complex of buildings had been added at some point between 1996-2014 on the northeast end of the former grass Runway 4/22. The site of Barrier Airport is located northwest of the intersection of Gordon Avenue & Hugh J McGraw Road. 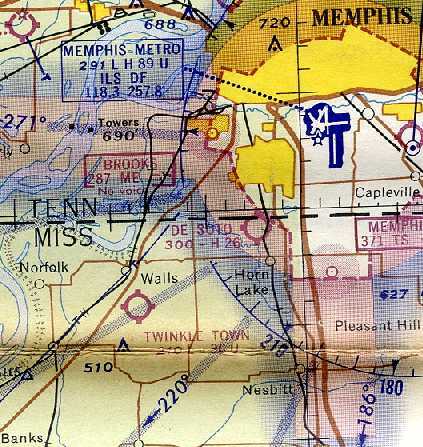 Greenville Airport was not yet depicted on the 1942 Shreveport Sectional Chart. which conducted training as part of the 30,000 Pilot Training Program. was a 6/1/43 aerial view looking north from the 1945 AAF Airfield Directory (courtesy of Scott Murdock). It depicted “Greenville AAF Auxiliary #1 (Greenville Municipal Airport)” as having 3 paved runways, taxiways, and a ramp on the west side. 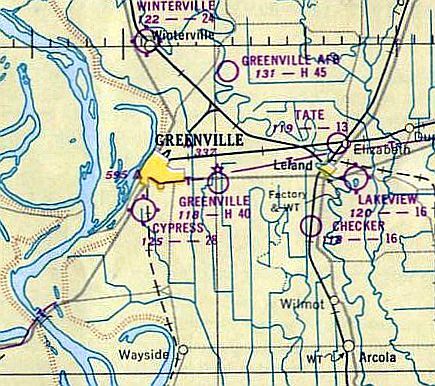 The earliest aeronautical chart depiction which has been located of Greenville Municipal Airport was on the November 1944 Shreveport Sectional Chart (courtesy of Ron Plante). It depicted “Greenville (Aux)” as a civilian airport. as a 411 acre irregularly-shaped property having 3 asphalt runways, the longest being the 4,000' northwest/southeast & northeast/southwest strips. to be owned by the City of Greenville, but operated by the Army Air Forces. At some point between 1945-50 it reverted to being used as the Greenville Municipal Airport. which depicted Greenville as a civilian airport having a 4,000' paved runway. 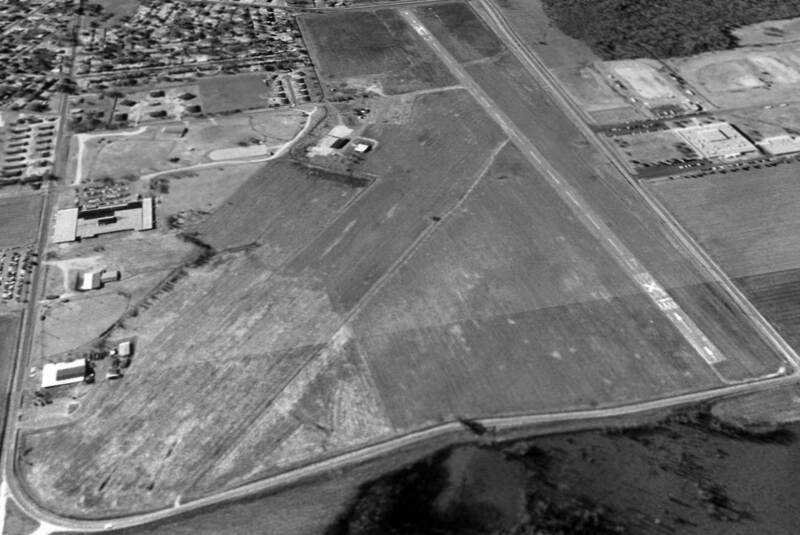 A 1952 aerial view looking north at Greenville Airport (courtesy of the Greenville AFB Museum, via Ron Plante). depicted Greenville Airport as having 3 paved runways, with the 4,000' Runways 13/31 & 4/22 being the longest. Several buildings (hangars?) were depicted along the west side of the field. as having 3 paved runways, and the operator listed as Valley Flying Service. 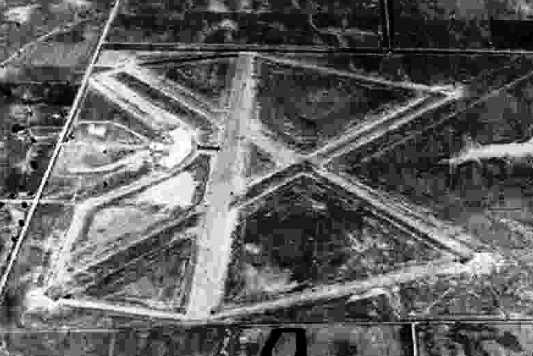 as all 3 runways were marked with closed “X” symbols on a 1967 aerial photo. The airport & all of its infrastructure otherwise remained intact. It had been replaced by the larger Greenville AAF, which had been closed by the military & became the new Greenville Airport. 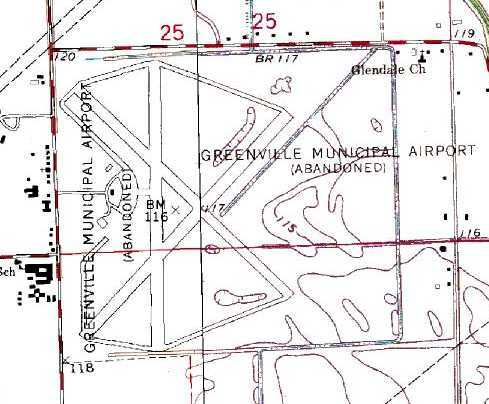 It was labeled “Greenville Municipal Airport (Abandoned)” on the 1970 USGS topo map. The 1972 Flight Guide (according to Chris Kennedy) only listed the new airport. on the 1973 Memphis Sectional Chart (courtesy of Robert Brown). which were still largely intact. with the convention center in the background. 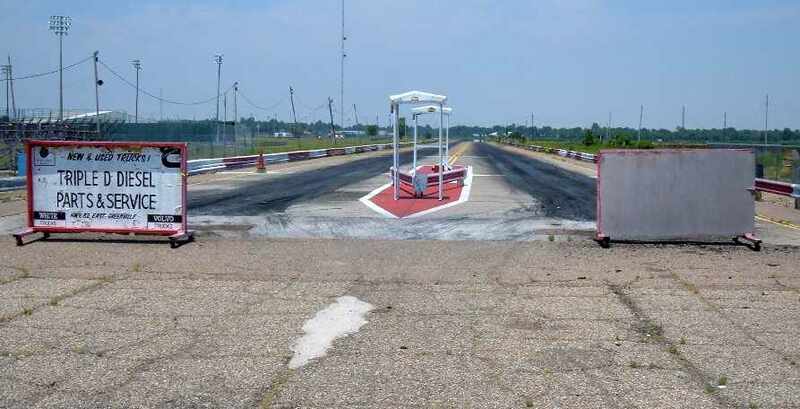 Ron Plante visited the site of Greenville Airport in 2006.
a recreational complex with baseball fields, livestock pens, and a drag strip. Also there is the Washington County Convention Center, which is on the site of the old operations building. 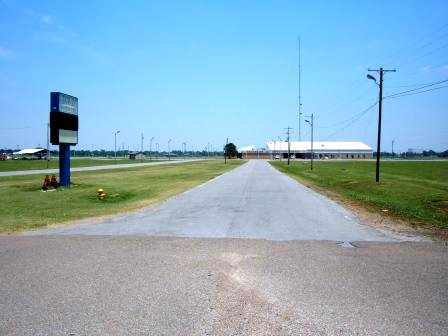 A 2006 photo by Ron Plante looking northeast along the drag strip which occupies the former Greenville Airport Runway 4 approach end. 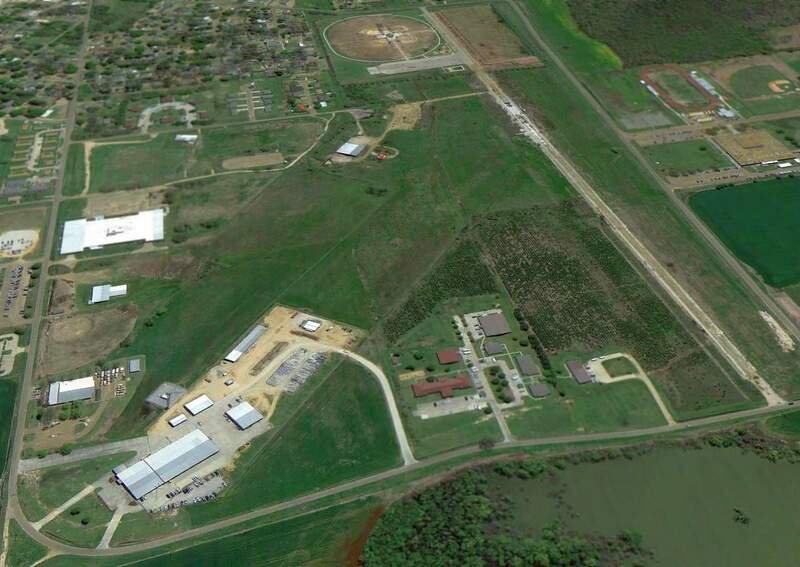 A circa 2006 aerial view looking west at former Greenville Airport runways & ramp pavement.